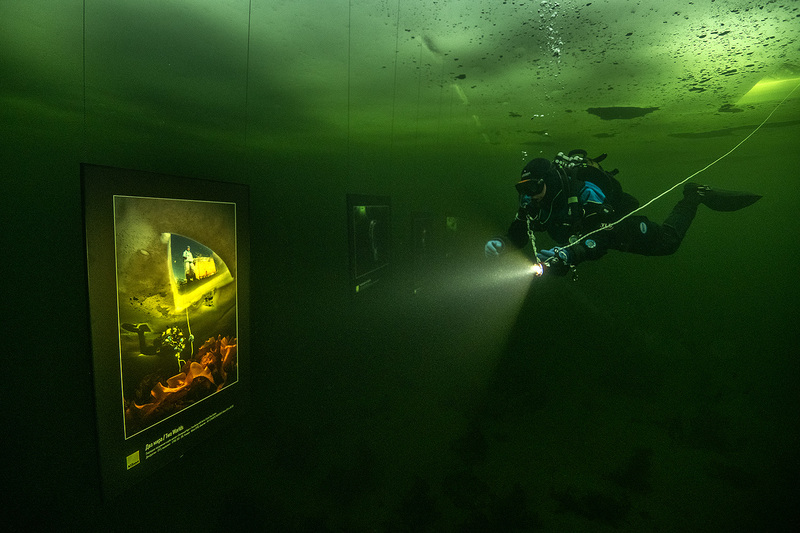 The world’s first exhibition of photographs under the ice is opened to visitors 19th of February 2019 beyond the Arctic Circle in the White Sea. Martians and space ships, Eywa the Wood and alien brain, aquanaut traveling across the sea on balloon – this is how photographer Viktor Lyagushkin showed the underwater world of the White Sea in his photographs. A wide-angle macro shot taken with a fisheye lens is a new photographic technique invented by Viktor. The invention allowed the author to do something that no one had managed before him: to show the tiny inhabitants of the underwater Arctic in their natural environment. 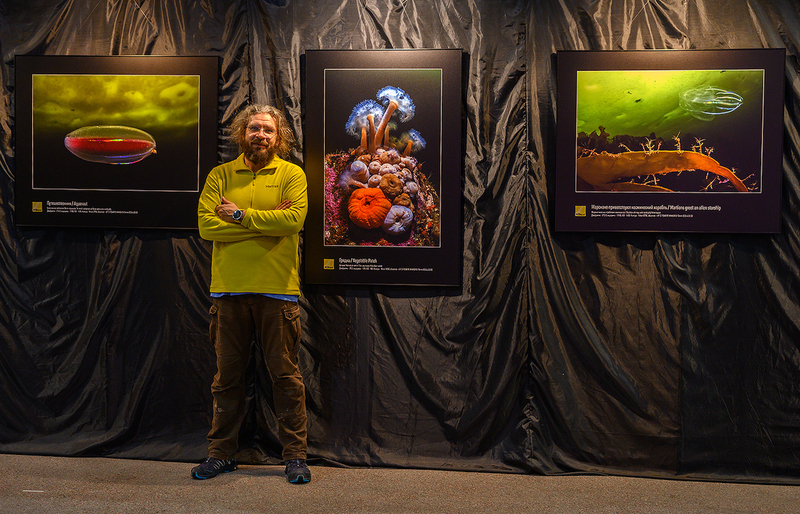 The exhibition “Until The Ice Melts” is part of a large project by Viktor Lyagushkin on documenting the animals of the White Sea. Viktor Lyagushkin is a world-renowned photographer, winner of countless contests, Nikon Ambassador, National Geographic photographer. For almost 10 years, admirers of Viktor’s talent are surprised with his projects, such as the “Orda Cave. Awareness”, dedicated to the longest gypsum cave in the world, located in the Urals, “Princess of Whales”, where a naked woman swam under the ice with beluga whales and others. 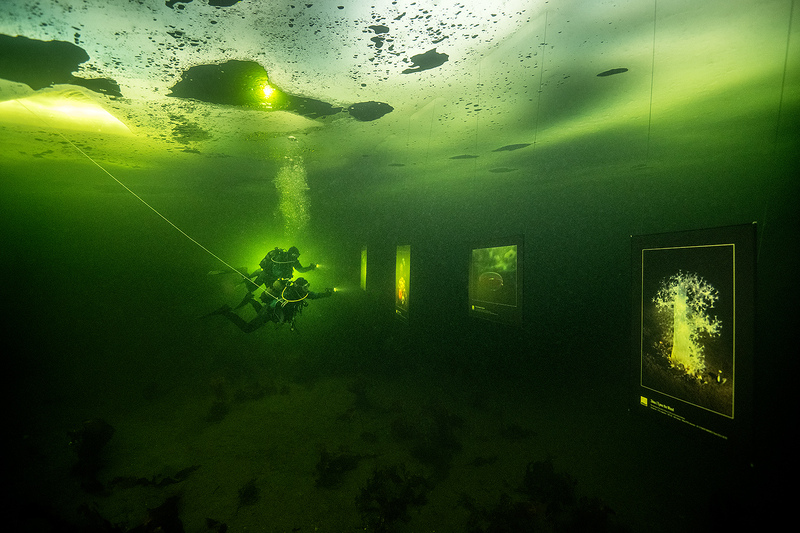 The exhibition will last until the beginning of the ice melting. This entry was posted in exhibitions, Uncategorized and tagged ecology, exhibitions, White Sea by SnowKitty. Bookmark the permalink. All multimedia content, photographs, text, video within PHOTOTEAM.PRO is copyright protected by PHOTOTEAM.PRO and/or the stated publication and are presented for web browser viewing only. No images are within public domain. Nothing contained within this site may be reproduced, downloaded, stored, copied, manipulated or altered for broadcast or publication. Nothing may be redistributed directly or indirectly in any medium without prior written permission from PHOTOTEAM.PRO members and/or the stated publication. Using any image as the base for another illustration or graphic content, including photography, is a violation of copyright and intellectual property laws.